As a part of new improvements, Chrome will now detect if your computer is running low on resources and will put an end to restoring tabs to save your RAM. However, to restore these tabs, you can always click on these to restore them. These under-the-hood upgrades reduce the RAM usage and improve the battery life. Mostly, these updates will affect the power users who open lots of tabs at a single time. These multiple tabs issue was addressed in extensions likeThe Great Suspender. 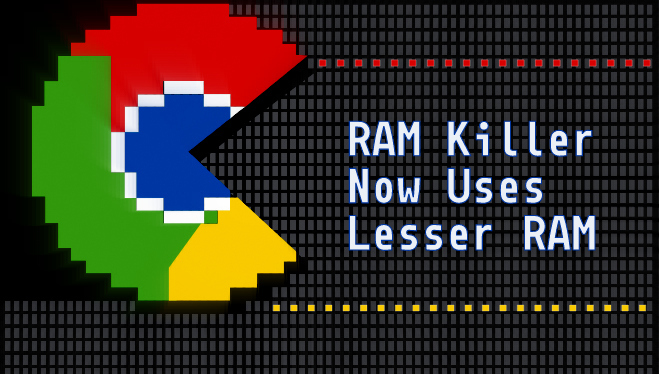 Google says in its blog: “Chrome can now detect when a webpage isn’t busy with some other task, and use the free time to aggressively clean up old, unused memory.” In Chrome, this reduces website RAM usage about 10% on an average and with Gmail, we can free up about a quarter of the RAM. To improve the power usage, back in June, Chrome announced that it’s pausing Flash content and in another recent update, it blocked the Flash ads. This improved the battery performance up to 15%, depending upon the OS.